Check out the classic commercial below. Do you know who is that kid? That kid is Boy 2 Quizon by the way. Isn’t it nostalgic? Well this year, the country’s leading fastfood chain and home of happy memories for many Pinoys, is reviving one of its most iconic jingles via a campaign that encourages families to make weekends a time for family bonding. “Our ‘I Love You, Sabado!’ campaign inspired families to make the most of their weekends by spending quality time with one another. As a brand that promotes the joy of family, Jollibee is bringing back to life this campaign as we believe that the message still holds true in this day and age. Amid the hustle and bustle of our day to day lives, we want to reinforce the importance of reserving weekends and pursuing our passions with the the people who matter most — our family,” said Jollibee vice president for Marketing Harvey Ong. Last July 4, Jollibee kicked off their campaign with a treat. A rock icon, Jollibee Yumbassadors, The Voice Kids finalists and Jollibee Kids Club endorsers were present in six different flagship Jollibee stores nationwide to officially launch the “I love you Sabado” campaign simultaneously. There were lots of freebies and surprises for customers who came with their families aside from free langhap-sarap meals, games and other fun activities for the customers. Jollibee is going all-out on this campaign in line with their goal of engaging even more Filipino families across the country. They will make this a yearly advocacy by enjoining the whole nation to celebrate every first weekend of July thereafter as a National Family Bonding Weekend. 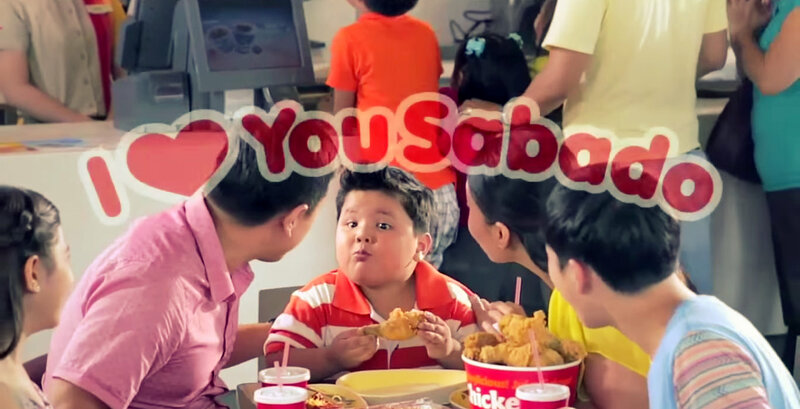 Considered one of the most well-loved and successful campaigns of Jollibee, the “I Love You, Sabado” jingle has been rewritten and given a fresh arrangement for us to relive our childhood memories. Check out the new and extended version of the I Love You Sabado! jingle below or visit their official Facebook page. *The photos w/o my watermark are not mine and were sent as part of the Press Release. Credit goes to the official photographers. so nostalgic indeed it even gave me goosies watching it again! i remember i used to have a collection of Jollibee stuff. this is so cool!